Just because you can take something doesn’t mean you should...or that it’s the right thing to do. In July 2016, WikiLeaks published nearly 20,000 emails from Democratic National Committee staffers that appeared to show the committee favoring presumptive Democratic nominee Hillary Clinton over Bernie Sanders during the US presidential primary. More recently, WikiLeaks leaked Vatican documents in January, 2019. But that’s just the tip of the iceberg. Assange, an Australian computer programmer, founded Wikileaks in 2006 and has been an international menace for more than seven years. Assange’s hacking rampage all started at the age of 16 when his mother gave him a computer as a gift. In 1991 he was charged with breaking into Nortel, a telecommunications company. Assange was charged with more than 30 counts of hacking in Australia. All of this set the foundation for a man that would eventually take the law into his own hands by obtaining and releasing top secret US government documents to the world. The whole purpose of Wikileaks was to share confidential or even top-secret information on a global scale. This is something that could only be done in this age of acceleration, where a single computer in the hands of one bad actor could have exponential power to impact nations. He effectively leaked classified data to tell the story he wanted to tell. 2006 – WikiLeaks is founded by Assange. 2010 – WikiLeaks posts more than 90,000 classified documents related to the Afghanistan war. 2011 – WikiLeaks begins releasing classified military documents providing details on the behavior and treatment of detainees being held at the US Navy's detention facility at Guantánamo Bay. 2011 – WikiLeaks releases its archive of more than a quarter million US diplomatic cables. 2012 – Delivers a speech via satellite to a full conference room at the United Nations, asking the US government to end its actions against him and his website. The event is held by the Mission of Ecuador on UN grounds but is not officially sponsored by the world body. 2012 – Assange's book, "Cypherpunks: Freedom and the Future of the Internet," is published. 2017 – Assange becomes a naturalized citizen of Ecuador. 2018 – Assange directs his legal team to launch proceedings against the government of Ecuador for "violating his fundamental rights." April 11, 2019 – Assange arrested in his latest sanctuary Ecuador. 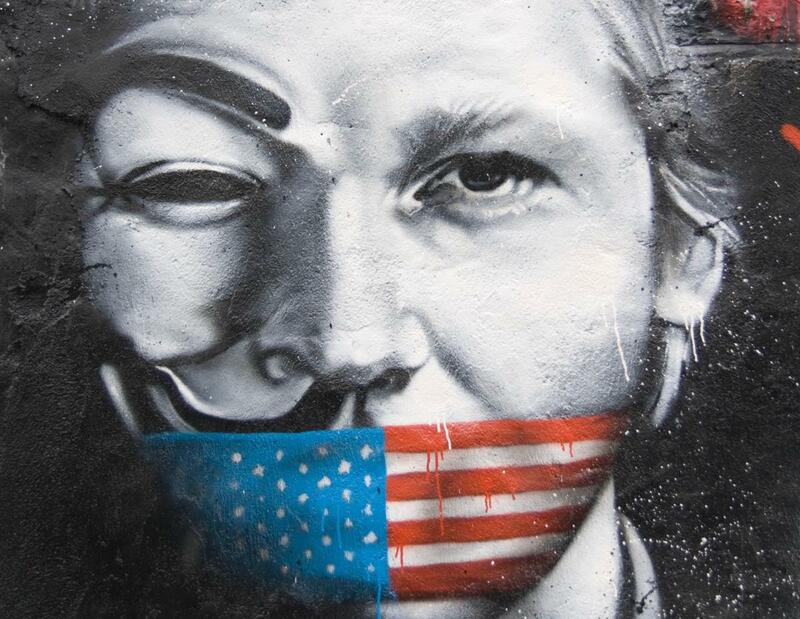 Some still think Assange is a hero, but how can we celebrate anyone who has either hacked or illegally obtained confidential data or secrets of nations? What gives anyone the right to have this much power over a nation’s military secrets? How can we trust everything they offer when we don’t know their true motives? Fox news reported that Assange was carried out of the Ecuadorian embassy in London in the arms of British police, who arrested him in a dramatic scene that ended Assange's nearly 7-year stay at the embassy. The world is now left wondering to see if the anti-secrecy site will retaliate. Earlier before the arrest, Ecuador announced it had withdrawn Assange's asylum for “repeatedly violating international conventions and protocol.” Ecuadorean President Lenin Moreno described the decision to withdraw Assange’s asylum as a “sovereign decision” because of his alleged repeated violations. It appears that Assange was continuing to carry out his business of interfering with other nations’ vested interests, which put his latest host country Ecuador in jeopardy. Like Edward Snowden, Assange is a criminal, no matter what his motives are. Even if some of what he released was true or partially true, it was stolen information. Snowden and Assange, in their quest to set the record straight, to share their worldview, endangered US servicemen and women by revealing detailed military and intelligence operations. That is very destructive information, not the kind of thing any single person with a computer should have the power to selfishly distribute without fear of consequence. If we don’t have trust, we become uncivilized. Without trust and respect we will have chaos and division on a global scale. Imagine a world where we all get what whatever we can on each other through any means necessary and use it to promote our personal agenda. You think we have global unrest now? George Grachis, a senior security and compliance specialist, has over 25 years’ experience in the tech sector. Some of his experience includes over a decade supporting the Space Shuttle program for Computer Sciences Corporation & Grumman Aerospace, security management for CFE Federal Credit Union, IT auditing & consulting for Deloitte and serving as Chief Security Officer for Satcom Direct. George holds both the CISSP, and CISA certifications. George received the ISSA fellow Designation in 2016 and is currently an active senior board member of ISSA.